You'll need to bring quality outdoor clothing and gear which is appropriate for your Alaska adventure — especially rain gear and rubber boots. While some of the items in this gear list are merely suggestions, many are essential for your comfort and safety. Your clothing should fit into two medium-sized (75-liter) duffle bags, or the equivalent-volume in a larger and smaller bag. 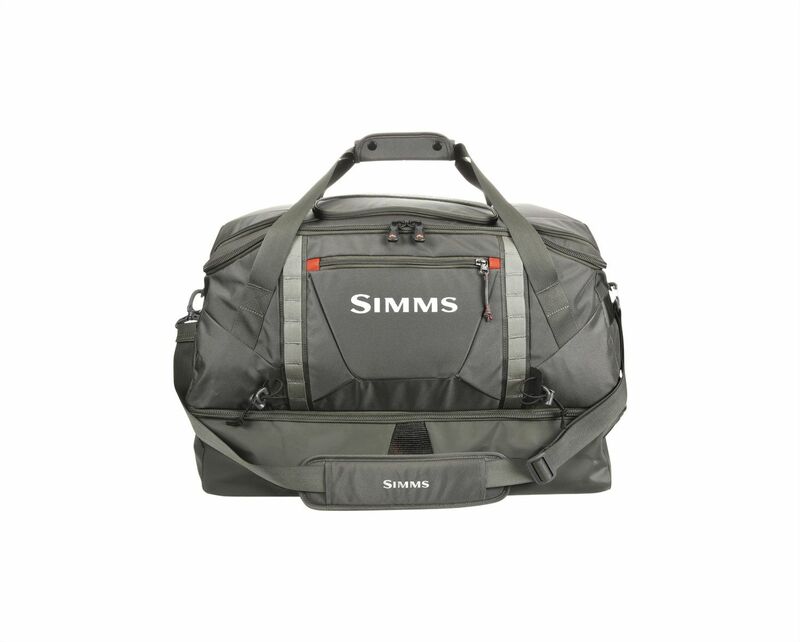 We especially like The North Face Base Camp Duffel Bags, Patagonia Black Hole Duffel Bags, as well as the Simms Essential Gear Bag. They are very rugged, look nice and travel well. You should also bring a small daypack with sufficient capacity to hold your camera, binoculars, a water bottle, rain gear, plus a couple of personal items. The quantity and combination of clothes you bring is up to you. Just be sure you bring enough warm clothes. Dress in layers for maximum flexibility. You should be able to wear every type of layer you bring at the same time! And it never hurts to bring an extra layer you don't really think you'll need. Baseball Cap. To help keep the sun out of your eyes. Gloves. Lightweight gloves with rubber grippers work well for paddling. Excellent gloves are available from Arc'teryx, Simms and Sitka Gear. Hiking Sandals. You'll appreciate a pair of sturdy hiking sandals. We recommend and wear Keen, Oboz and Simms hiking sandals. Hiking Shoes. You'll need a pair of sturdy hiking shoes. We recommend and wear Keen, Oboz and Simms hiking shoes. Wool Socks. The warmth, cushion, and absorbency of merino wool socks (or a wool/silk/polypropylene blend) is important. There is nothing worse than wet feet. Bring several pair — and change your socks each day. We like Darn Tough and SmartWool socks. Long Underwear. Should be merino wool or synthetic. Excellent next-to-skin layers are available from Arc'teryx, Simms and Sitka Gear. Underwear. Your regular underwear is fine. But consider an upgrade to merino wool or a synthetic blend. Merino Wool Sweater or Fleece Jacket. This is your primary insulation layer. If you tend to be cold, you should bring additional layers. Excellent insulation layers are available from Arc'teryx, Simms and Sitka Gear. Pants. Look for synthetic blends that are durable and quick-drying. Cotton soaks up water, and becomes cold and uncomfortable. Shirts. Look for synthetic blends that are durable and quick-drying. Cotton soaks up water, and becomes cold and uncomfortable. T-Shirts. Short-sleeved or long-sleeved cotton shirts. Warm Jacket. This is your primary outer layer. Look for water-repellant down, PrimaLoft and WindStopper layers. 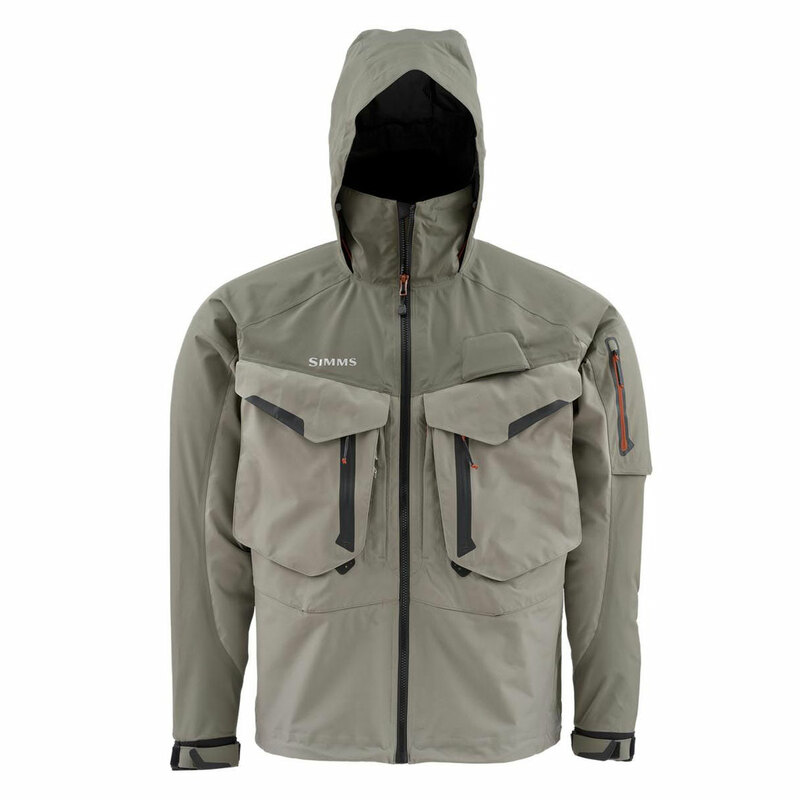 Excellent outer layers are available from Arc'teryx, Simms and Sitka Gear. Warm Pants. This is your primary outer layer. Excellent outer layers are available from Arc'teryx, Simms and Sitka Gear. Warm Hat. Should be merino wool or synthetic, and cover your ears (not a baseball cap). Rain Jacket. You'll need a packable GoreTex rain jacket. Thin, coated-nylon rain gear does not work well in Alaska. Excellent rain gear is available from Arc'teryx, Simms and Sitka Gear. Rain Pants. You'll need a good pair of packable GoreTex rain pants. Excellent rain gear is available from Arc'teryx, Simms and Sitka Gear. The quantity and combination of equipment you bring is up to you. Just be sure to bring your favorite camera, plenty of spare batteries for the equipment you bring, appropriate charging cables, and your phone! A great pair of binoculars allow you to experience nature closer than ever before. Look for binoculars that are 7x42 or 8x42 (a good magnification and a wide field of view), that also offer excellent low-light capability. We highly recommend Zeiss, Leica, and Swarovski binoculars. DSLR Camera. Bring your Canon, Nikon or Sony DSLR camera, a telephoto lens, a wide angle lens, plus lots of memory cards and spare batteries. You can also rent everything you need (with full-coverage insurance) from LensRentals.com. We frequently rent telephoto lenses from this outstanding company. We suggest adding a Canon 100-400mm Telephoto Zoom or a Nikon 80-400mm Telephoto Zoom to your camera bag! Garmin Virb Ultra 30. Can your action camera record on command?The Garmin VIRB Ultra 30 can. This waterproof ultra HD action camera features voice control, so you can tell the camera when to start and stop. That means more hands-free selfies when you’re looking fearless — and easier editing when the action's all done. It's small, weighs next to nothing, and it's ready to take on any dare or adventure, thanks to the included waterproof case. GoPro Hero 7. It just doesn't get any better than GoPro for action photography and video — from your kayak or paddleboard. Be sure to bring adjustable mounts with suction cups. iPhone and iPad. We occasionally have cellphone coverage during our trip. Your iPhone and iPad each have cameras that are great for posting snapshots and video to Facebook, Instagram and Twitter. inReach eExplorer. The world's only truly global satellite communicator, the inReach Explorer now has built-in navigation with waypoints and routing. We've got one! Remember that inclement weather can affect your travel plans in Alaska, occasionally causing delays of up to twenty-four hours. For this reason, please don't schedule your departure time too close to your required arrival time at your destination. Alaska Airlines serves all of our departure cities, including Juneau and Sitka. The Alaska Marine Highway also provides regular scheduled ferry service between Juneau, Sitka, and Petersburg. Alaska Airlines (800-426-0333) provides daily jet service to Juneau and Sitka (from Seattle). The Alaska Marine Highway System (800-642-0066) is a state-operated ferry. You can take the Alaska Ferry from Bellingham, Washington or Prince Rupert, British Columbia, all the way to Anchorage or Skagway. The Alaska Ferry stops at several Southeast communities, including KetchikanKetchikan, Wrangell, Petersburg, Sitka, Juneau, Hoonah, Gustavus, Yakutat, Haines and Skagway. Each ferry operated by the Alaska Marine Highway System offers observation decks, food service, and vehicle decks. Please note that vehicle space is limited, and can often be completely booked several months in advance of departure dates. Plan accordingly. Alaska Wilderness Charters is proud of our partnerships in Juneau and Sitka. We have great relationships with business associates and friends who live in these communities. We heartily recommend the fantastic menu at the Twisted Fish Company, on Franklin Street in downtown Juneau. Be sure to browse through the many art galleries in Juneau, Petersburg, and Sitka. A great selection of work by local artists is available. If you're looking for an off-the-beaten-path experience, two favorite hikes in Juneau are the Perseverance Trail (easy to moderate) and the Mt. Roberts Trail (moderate to strenuous). Alaska Flightseeing Tours. Experience Alaska's breathtaking beauty from the air. From Juneau. Cross Sound Express. Guided whale-watching trips at Pt. Adolphus in Icy Strait. From Gustavus. Pack Creek Bear Tours. Guided bear-watching trips at Pack Creek, on Admiralty Island. From Juneau. Our Trip Routes show you our expected route of travel on each of our wilderness charters. We also have a selection of detailed NOAA Nautical Charts that you can download and view. These charts cover the central portion of Southeast Alaska, from the Canadian border to the east, to Baranof Island and the Gulf of Alaska to the west, and from Juneau and Lynn Canal to the north, all the way to Prince of Wales Island and Etolin Island to the south.